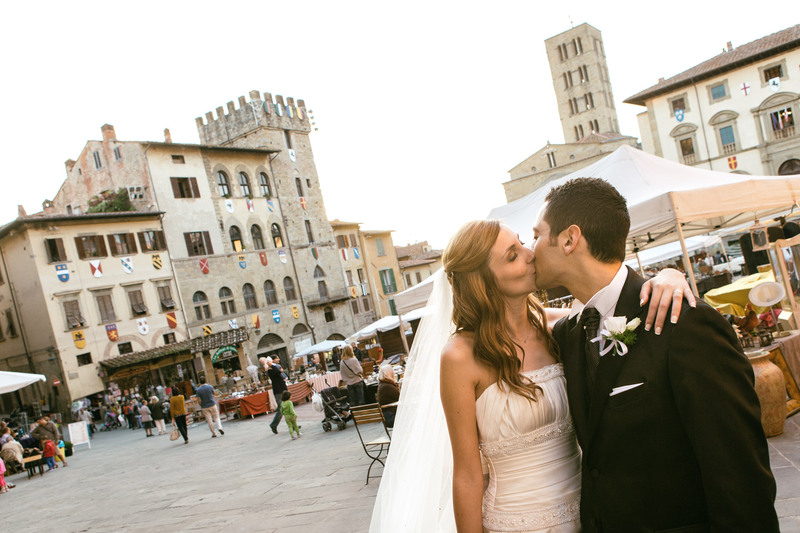 I am an Arezzo wedding photographer who made many photograph works in Arezzo, in the medieval village of Lucignano, in the beautiful Cortona in the past location of various advertisements and films such as “Under the Tuscan Sun” and in the beautiful scenery that offers the Val di Chiana. Arezzo an ancient medieval town with its beautiful Piazza Grande where every year takes place the famous Giostra del Saracino, its streets, its narrow streets and its history, its monuments, its churches and its beautiful buildings offer a unique and suggestive that will allow the creation of a photographic record in photojournalistic style in which the attention to detail, spontaneity and naturalness are the main ingredients that your wedding photographer to use Arezzo. If you are looking for a Arezzo wedding photographer which is a discreet but attentive, that is able to capture the most significant and exciting moments of your day, do not take chances !! I am the Arezzo wedding photographer which is for you; I will take you from the preparation of the bride and groom during the ceremony until the end of the festivities, capturing the most significant moments for you married and your family, giving you the unforgettable memories of your most important day. I am a member of the prestigious Best of Wedding Photography association representing every best Arezzo wedding photographer. My style reportage is approved by the Wedding Photojournalist Association of which I am honored to be a part. No photo posing but then only valuable suggestions for the best possible implementation of a photo shoot unique and imaginative. Do not hesitate to contact me to ask questions if you are looking for a Arezzo wedding photographer with his professionalism and attention to detail will will meet your expectations.